It’s that time of the year - choosing that perfect university to attend! We invite you to be an SMU student for a day and experience what life is like in our warm and vibrant campus community! Whether you attend an information session, view a student performance, take an open top bus tour, visit the food trucks or simply take a leisurely stroll around campus, we know that you'll feel right at home here with us. 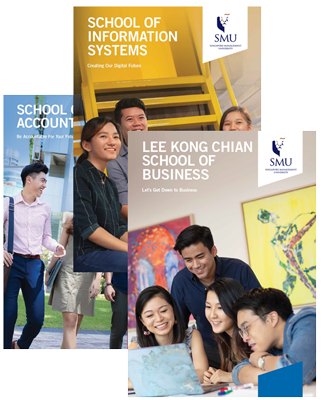 Visit our School booths at School Of Law and attend our information sessions where you’ll have the chance to chat with our professors, and find out more about SMU's guaranteed 2nd majors, newest courses, guaranteed global exposure, and more! Hop onto the bus tour around our sprawling city campus to see for yourself what the SMU learning and living experience is like or join an interactive walking tour of our beautiful campus conducted by SMU ambassadors. Check out the vibrant CCA showcases and exciting student performances outside the School of Accountancy. 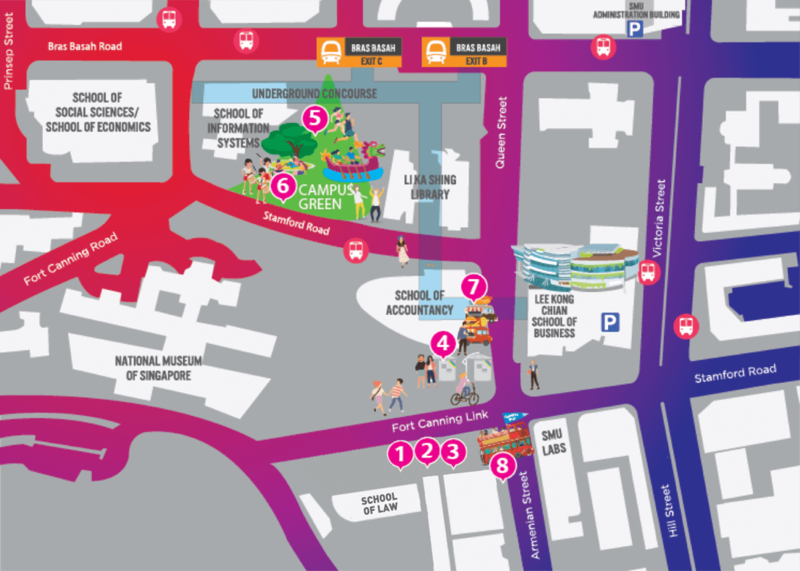 Indulge in a unique gastronomical experience at the SMU Food Fiesta outside School Of Accountancy featuring food trucks serving up a wide range of delectable treats. Soak in the festivities of a city campus at the Viva O Samba 2019 and be treated to an array of exhilarating performances, accompanied with lots of food, fun and games. Catch all the action at the iconic SMU Dragon Battle (a dragon boat tug-of-war held at a mobile pool) and try out the various obstacle courses at the RED-X Games at the Campus Green to put your will and wit to the test. 1Get your free tote bag at the SMU School of Law Building. Limited quantities available! 2Visit our school booths and chat with our friendly professors, Admissions staff and students to find out why SMU is the best place to be! 3Attend a few information sessions to learn more about the different undergraduate programmes and multidisciplinary approach of the SMU curriculum. 4Check out the vibrant showcases at the CCA Display. 5Stop by the SMU City Games to catch all the action at the SMU Dragon Battle. For those who are feeling more adventurous, try out some of the obstacle courses at the RED-X Games for free. 6On Saturday evening, get your groove on at SMU Samba Festival – Viva O Samba 2019 at Campus Green for a taste of Brazilian culture. 7Indulge in a unique gastronomical experience at the SMU Food Fiesta featuring food trucks serving up a wide range of delectable treats. 8Hop on board a bus tour or join an interactive walking tour of our beautiful campus conducted by SMU ambassadors. Our comprehensive information sessions provide an overview of our academic programmes, student life, scholarships and financial aid, the application process and more. Find out how the SMU School of Accountancy trains future-ready accounting professionals who think strategically, communicate effectively and are tech-savvy. Discover how accounting professionals of the future can be architects of automation and expert users of technologies to problem-solve, strategize, assess risks and predict trends. 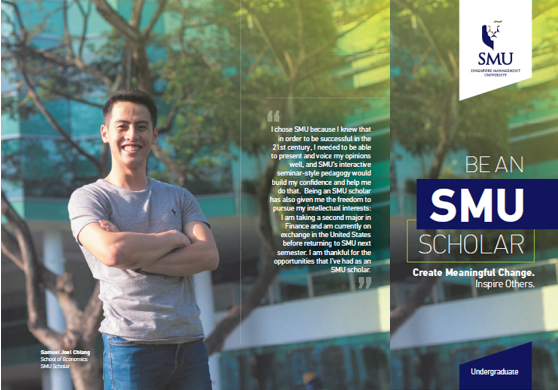 Find out why our SMU Business programme is one of the most highly sought-after undergraduate courses in Singapore, and how to sharpen your acumen as a transformative business leader by choosing from a range of nine market-relevant majors. Find out more about how SMU's economics programme provides the depth, academic rigour and experiential learning that will prepare you to be market ready and future ready. Attain first-hand knowledge and find out why companies are now looking for professionals who can sift through the goldmine of data and help them drive swift business decisions efficiently. This new programme will open doors to meaningful career pathways in the healthcare sector and industry-ready graduates who are equipped with the knowledge and skills necessary for effective administration and management within the healthcare sector. If you're interested in a career as an actuarial analyst or risk analyst, join us at this talk to find out more about this popular major which follows the professional education and examination requirements of the US Society of Actuaries. Find out how we produce graduates who can innovate solutions that add value to business and society, and train job-ready professionals who are versatile in applying emerging technologies to develop end-to-end IT solutions. Understand why the demand for IT and legal professionals, who are adept at bridging technology and law, continues to rise; and how you could meet this demand by equipping yourself with skillsets in IT & business innovation, operating IT & business innovations within a legal framework, and employing IT in legal practice. Learn the difference between Computer Science and Information Systems; and how Computer Science equips students with technical skills to build computing products and solutions to thrive in the marketplaces and society. Discover how an SMU legal education will develop you into an articulate and confident legal practitioner with an acute sense of discernment and an ability to engage any area of law with ease. Gain a better understanding of how the SMU Bachelor of Social Science degree prepares you to understand the complexity of contemporary societies and to be thought leaders of the future. Have you wondered why the Politics, Law & Economics (PLE) major is such a powerful combination that is especially relevant in today’s rapidly changing and highly unpredictable global landscape? Come join us at this session to bring your questions to this panel of esteemed faculty representatives from SMU’s School of Social Sciences, School of Law and School of Economics as well as current students of PLE. Singapore has been regarded as a highly developed country which enjoys a per capita GDP higher than most of the other developed countries and also one with a consistently low unemployment rate. With such strong accolades, poverty seems to be non-existent in Singapore. But, is it true? Join us for this talk, to debunk some of the associated myths. SMU CITY GAMES RETURNS BIGGER AND BETTER! Get up close to all the action and watch this heart-stopping competition, as SMU students and corporate teams battle for the 'strongest dragon' title in the epic "SMU Dragon Battle", a competition which brings the competitive sport of dragon boating into a mobile swimming pool stationed on land, bringing the action closer to the spectators. Discover the power of giving back through sport! Come find out more about Team Nila and join in their inaugural mini sports day featuring innovative games that can be played by all ages. If you’re looking for some adrenaline-pumping action, look no further than the Red-X Games, a one-of-its-kind race that combines obstacles with functional fitness movements, testing your agility, strength and mettle. Wall climbs, monkey bars and static bikes are some of the many stations that will provide you with a total body workout! For those who would like to try out the course without racing against time, Xperience is the non-competitive category where everyone can sign up for free. If you are after a totally different experience or seeking to unleash your inner warrior, Xplore is the competitive category where attractive prizes will be up for grabs for the top 3 male and female athletes. Prepare for a multi-sensory extravaganza at Viva O Samba 2019! In the past few years food trucks have exploded in popularity in different parts of the world. Food Trucks are the stars of the SMU Food Fiesta 2019, so come by with your friends and family to sample delicious treats and have some fun. This is a perfect opportunity to meet some friends, roam from truck to truck sampling dishes and soak up some fun. Join one of the hourly walking tours led by SMU ambassadors for visitors to visit different parts of the university. 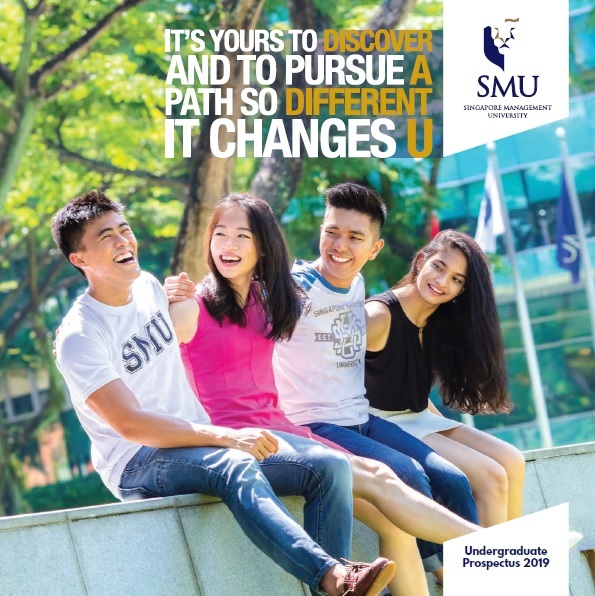 During the campus tour, visitors will also learn some interesting anecdotes about campus life as our students will elaborate on their own experiences learning and living in SMU.